The luxury of quiet sharpening in a room full of kids is good enough for any teacher. 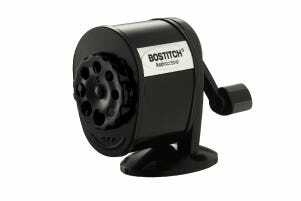 However, this specialty classroom pencil sharpener is loaded with various other features to make them extra appreciative of your thoughtful exchange. Check this off the wish-list and hold a special place in any teacher’s heart. 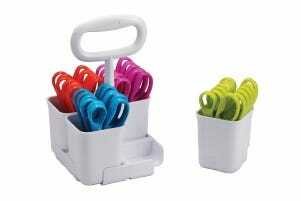 Coming with 24 vibrant-colored scissors, this caddy set is a treat for the educator in your life and their students! It’s time to finally save your superhero of a teacher with this 4-in-1 stapler. 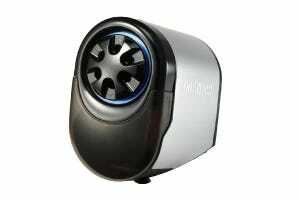 It tacks bulletin boards and has an integrated pencil sharpener, staple remover, and staple compartment. With a classroom full of eager bodies, teachers don’t always have the time or energy to complete the simple tasks. This holiday season, we have a solution! 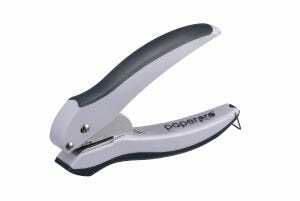 This electric hole punch delivers crisp punching with a push of a button. 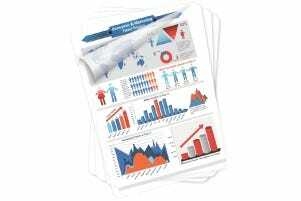 Give the small business owner the key to workspace success with this 5-piece desktop organizer kit. It’s an all-in-one bundle to help get their space and business in order. 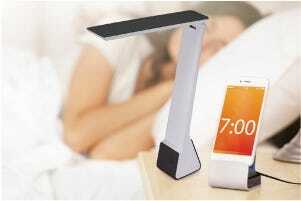 Since holiday lights can’t illuminate our lives all year round, this dimmable LED desk lamp will do the trick! It’s the perfect accessory to brighten any office, no matter the size or location. 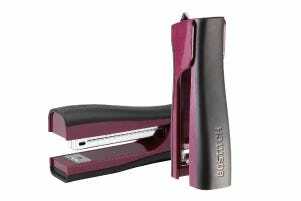 This desktop stapler value pack is the gift for those who appreciate the simple things in life. Make this 3-in-1 bundle a stocking stuffer or a gift all on its own – either way, it’ll be a staple day in and day out. 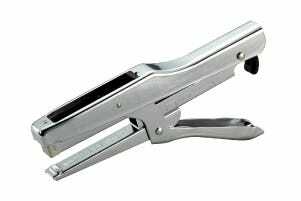 Busy entrepreneurs appreciate those handy, easy-to-operate essentials, and this chrome plier stapler fits the mold! 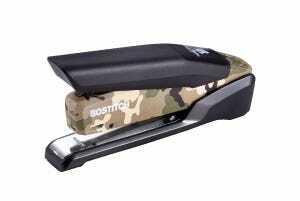 With a full metal durable design, this may be the only stapler the business will ever need. From scrapbooks to homemade ornaments, your devoted crafter will surely appreciate this single hole punch. 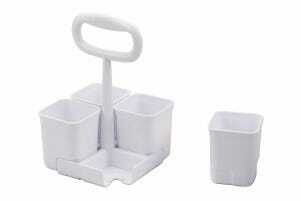 The uses are endless, meaning infinite art projects and a hobby for the winter! Preserve an artist’s creative energy for their craft, not on an efficient way to arrange their corner. From washi tape and scissors to paintbrushes and pencils, this 4-bin art caddy is able to store and organize all must-have art supplies. Unique details are what makes a work of art a masterpiece. 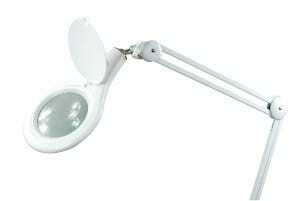 See them more clearly with this extensive clamp-on magnifying lamp, ideal for the designers who appreciate the small stuff. 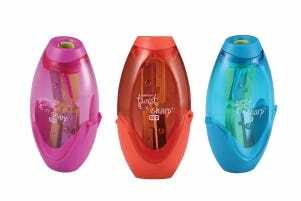 Don’t let looks fool you - this handheld duo pencil sharpener isn’t exclusively for small hands. It also caters to the traveling business professional, on-the-go writer, and of course the avid crafter! 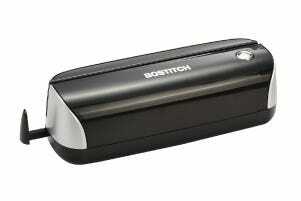 The best gifts are the ones that keep on giving, and this Flash™ Heat laminator is no exception. It’s perfect for that special person who cherishes their memories and longs to make them last a lifetime. Make any snapshot a souvenir to share for many holidays to come. 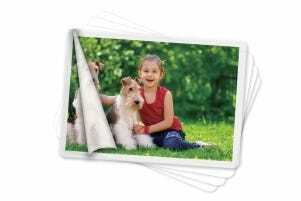 Pair these glossy laminating pouches with any beloved 4x6 print photos to protect and preserve them. 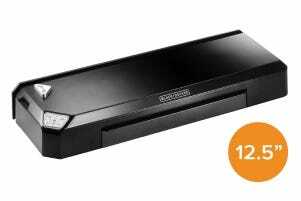 Expect a thank you when you bundle and gift it with our thermal laminator. We all know that one parent who can’t let go to of their kids’ work of art or loved ones’ notes. Gift them with these letter size laminating pouches to feed into their sentimental nature this holiday season. A true keepsaker needs a laminator to keep up with the job! 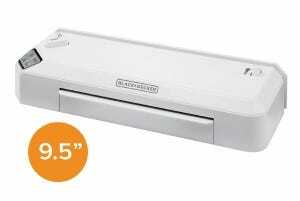 Catering from small to large projects, this 12.5-inch laminator is decorated with features to create clear mementos that stand against the test of time. What do you get someone who seems to have all of the latest electronics? Easy! 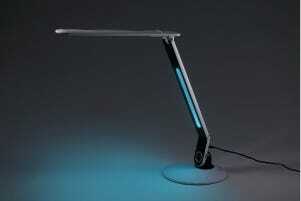 A daylight simulating desk lamp with a built-in Bluetooth speaker and USB port. Pretty impressive, right? 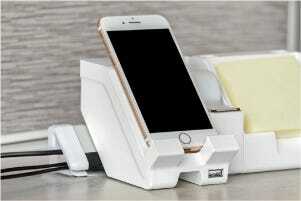 For that person who is always glued to their mobile device, this USB desktop phone stand encourages them to finally set it down. 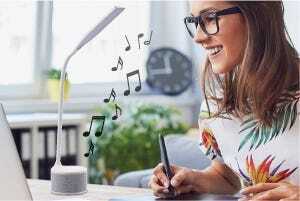 Don’t worry, it safely charges and displays it from any desktop, so no call is missed. 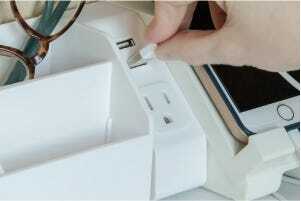 Too many electronic gadgets but not enough charging options? Bless the tech-savvy person on your holiday list with this hybrid power hub that brings power directly to their desktop and watch them swoon! Wires can be a hassle that takes away from the sleekness of modern technology. 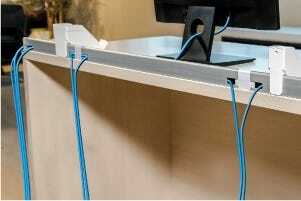 Konnect™ cord management rails line the edge of your desk and hide all distracting wires (plus, you can dock accessories on them!) Think of it as a new version of garland. 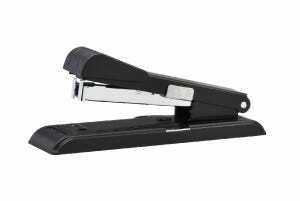 This stapler doesn’t only make an impact in the office but also makes an impact on others. Gift this to someone in your life and a portion of the proceeds are Wounded Warrior Project®. It’s truly a gift that gives back. Tis the season of giving back and we know the perfect way to participate. 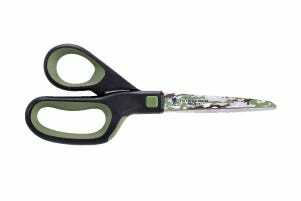 When you purchase and pass on these Wounded Warrior® scissors, part of the proceeds is donated to veterans in need. It’s a win-win. 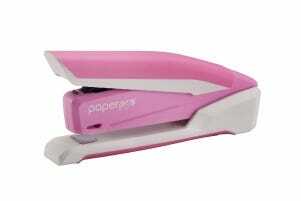 Touch the hearts of those in need with this pink compact stapler. How? Well, it not only makes the perfect practical present but also counts as a donation since part of the proceeds of this purchase are donated to cancer charities. Make pink a color of the holiday season. 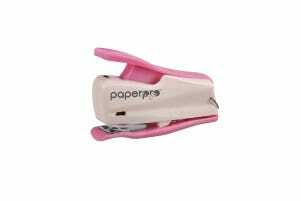 This travel-size stylish stapler is great for on the go and for showing your support as a part of your purchase goes towards cancer charities via the Amax® Spirit Foundation™. Know someone that can’t get enough of DIY projects? You know the type – always scouting for the next nook in their home to revamp. 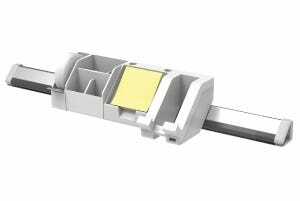 Gift them with this 3-bar under cabinet lighting kit as a way to give their kitchen, bathroom or closet a quick facelift. 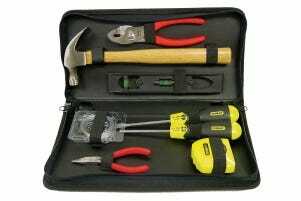 This all-inclusive tool kit is fantastic for any fixer-upper, new homeowner or simple tool geek. Slap a bow on this 8-piece bundle and you’re good to go. Time to let your holiday stress melt away. Does your friend insist they can complete those big, larger-than-life jobs? 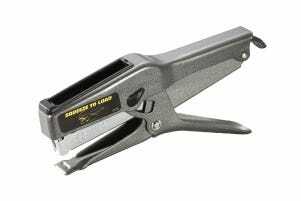 Luckily, you can provide them with this easy-squeeze plier stapler that makes completing any heavy-duty stapling task a breeze. We’re certain they’ll adore it. No matter the project, there is always something that needs to be cut. 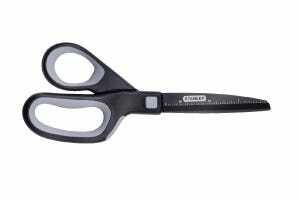 Supply your favorite DIYer with the Piranha titanium scissors, and these beauties will become their go-to for perfect, precise splicing. 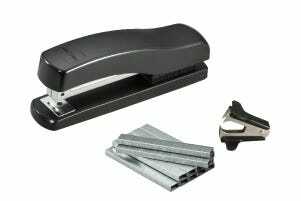 Classic and simple, this desktop stapler is great for that individual who is focused on getting tasks done in a straightforward manner. That, and it’s a quick fix for any nostalgic feelings. 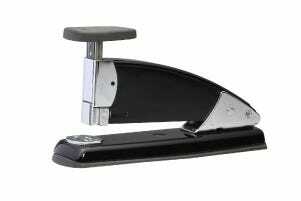 While you can’t gift a time machine, you can give this vintage-style stapler to transport your friends back in time. It’s the epitome of a classic, decorated with a press pad on the top to operate. Matching any traditional decor, this classic radial desk lamp will win the love of any vintage fanatic. Boasting flicker-free quality lighting, it’s hard not to become a fan of this LED lamp. Everyone knows and loves these old-school manual pencil sharpeners that hang discreetly on the wall. 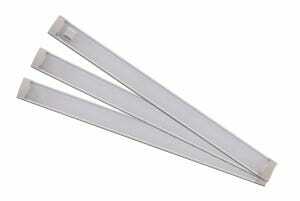 It’s perfect for sharpening pencils and the minds of those who may have forgotten about such a gem! It’s always a bummer taking down mesmerizing holiday lights, but we’ve got the perfect thing to replace them with: a color changing under cabinet lighting kit! 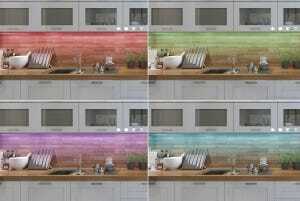 This 3-bar kit offers four color modes and millions of colors to brighten any home. Mood lighting, anyone? 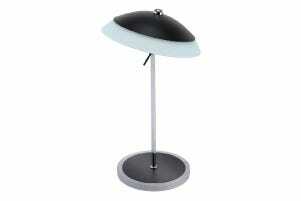 Let your feelings show and easily up your office or bedroom aesthetic with this color changing LED desk lamp. Just a friendly reminder - there’s no harm in treating yourself this holiday! No matter the mood, season or time of day, this modern-looking desk light is there to produce eye-catching light in a flash. 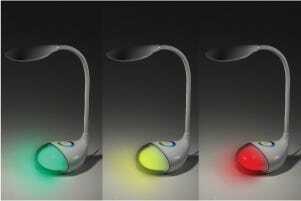 With an RGB arm, users can easily house this lamp in any bedroom, craft area or office space. 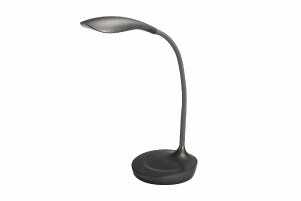 Compact and portable, this desk lamp featuring relaxing and rejuvenating lighting modes, is ideal for bedsides, workspaces and more. Also great for emergencies, this light is a highly practical gift! Tis the season of giving! Which items did you pick out as gifts for your loved ones? The decision-making process is definitely overwhelming, so hopefully we narrowed your options down to some useful choices that fit the people in your life! Didn't find exactly what you were hoping to? Don't worry - we've got this! Browse the rest of our site to shop our full product line.